We are leading manufacturer and exporter of Injection Grouting Machine and grouting pumps . 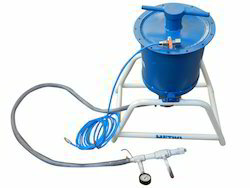 our capacity of grouting machine 300ltr up to 2000ltr and pump pressure up to 36 kg/cm2. The new dimension for injection and pressure grouting tasks. The injection units HD 2 are particularly suitable for the injection and pressure grouting of low viscosity epoxy or polyurethane resins and meet the requirements of the Supplementary Technical Conditions for Cracks. Portable body, weighing only 7kg, easy to carry & maintain, maximum output pressure up to 13500psi. 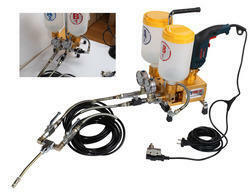 The new dimension of injection and pressure grouting. pressure grouting of cracks area and blooming injection wet 22kg only .